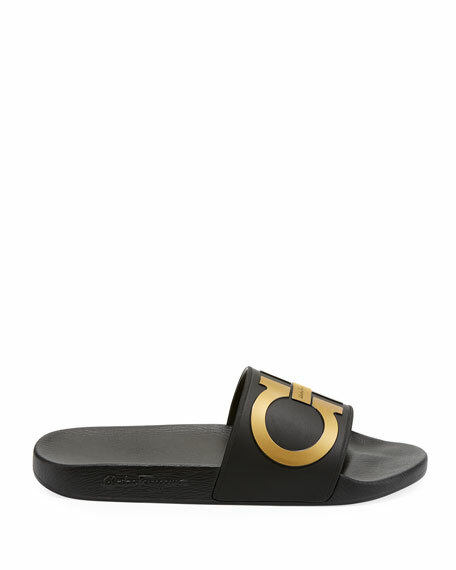 Golden Gancini logo on vamp. "Groove" is made in Italy. 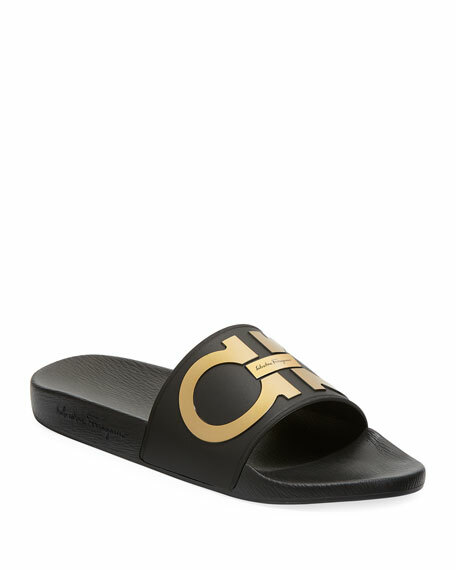 Salvatore Ferragamo sandals in leather with split logo letter print. One-band upper. Molded footbed. Slide style. Made in Italy. 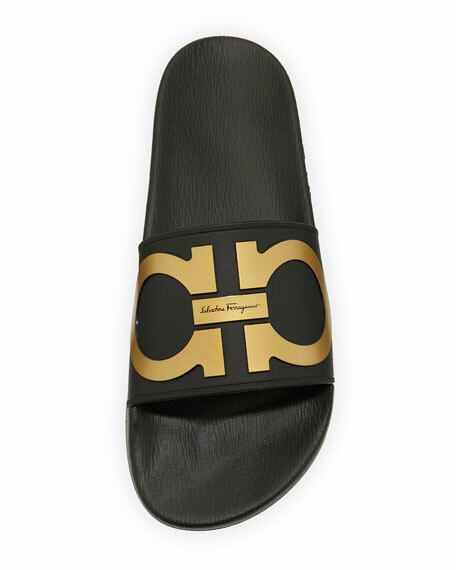 Salvatore Ferragamo rubber pool slide with logo upper. 1" heel. Open toe. Gancio detail at back. Molded footbed. Made in Italy.